Who needs a sin forgiven? Go ahead. Raise your hand. Am I the only one with both hands in the air? I find my sin nature so pesky. I know how I desire to speak to my family- especially when their own sin nature is acting up. I try to return evil with good and be kind. I want to love others more than myself. I long to lay my rights down and put others first. I wish to forgive, love, share, and live generously. In short, I desire to live like the Jesus who loves me. But I don’t. I verbally retort. I slam doors. I take the best before others have the chance. I curse the slow driver in the left lane. I impatiently drum my fingers for the incompetent cashier. I sin. I. Need. Forgiveness. And I need to give forgiveness. I confess that even when I forgive my family, or anyone else, for a way they hurt me, I find it difficult to really FORGET. When a similar instance reoccurs I can pull up the last time they wronged me (the time I “forgave”) and be even more upset. After all, this is a pattern. If they really loved me…. But the Lord is different. He looked on us, saw how we repeatedly sinned against Him and sent His Son to deal with our desperate need for forgiveness. 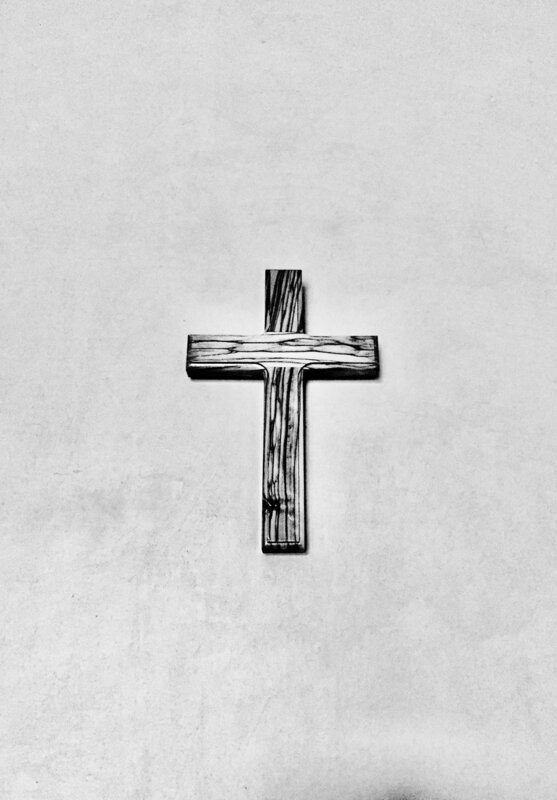 His blood on the cross covers the sin as if it never happened. Let's thank Him that when He forgives our sins, He forgets. He elects to put away our wrongs and never bring them up again. He is our compassionate Father and He knows our hearts. He does what we could never do for ourselves- He removes our sin. How grateful I am that my omniscient Lord, CHOOSES to forget. Not only does He forget, He blots it out! Cleans it up! The miracle of the resurrection is that the red of Jesus’s blood turns my blackest sin to pure white. My sin is as clean as the driven snow, to borrow a phrase. It doesn’t mean my sin is okay, but the Forgiving Lord takes the sins I confess and washes them away. Oh, how could I do anything but fall on my knees in pure gratitude? Alright, now here is where it gets really challenging- the WAY God in Christ forgives me, THAT is the way I am supposed to forgive. Completely. Undeservedly. Choosing to forget, and choosing to NEVER bring it up again. But just think of the benefits of the Lord's way of forgiving. My loving relationship with Jesus is due to His total forgiveness. Maybe my earthly relationships would also be as richly deep if I didn’t hang on to past wrongs. I would be freed to love. Like Jesus does. Who is like our God? He takes our sins and casts them into the sea and as Corrie ten Boom said, "Puts up a no fishing sign." He deserves our praise over and over and over again! Thank You that You forgive me Lord. I am so grateful that I don’t have to earn forgiveness, for I never could. Thank you Jesus for paying for my sin. For taking on Yourself the punishment I deserved so that now I can stand in forgiveness. Thank You for being wounded that I might be healed. I praise you, my compassionate Father, that You forget my sins. You, who are perfect, choose to remove my sins, to blot them out, and to wash them clean. You take my black heart, cover it with Your red blood, and transform it into white. Thank You for the miracle of forgiveness. I rarely thank You for the gift and joy of cleanliness- in my heart and soul. But, I could never clean myself, so let me pause and say thank You! And thank You as well that each and every time I fall, muddy myself with sin or become contaminated with the world, I can confess and You forgive and cleanse again! Thank You that there is no limit to Your forgiveness. I ask You Jesus to help me be a forgetful forgiver so that I can forgive as You do. I need You to help me not hang on to past hurts. As I lean into the reality of Your forgiveness, please help me look a little more like You. Gracious. Compassionate. Slow to anger. Abounding in lovingkindness. Quick to forgive and forget. Thank You, my Forgiver. Thank You for delighting in loving me. I am so grateful to be loved by You. I love You Jesus. Walk today in the freedom and sparkle of a clean, forgiven heart! Receive these prayers in your inbox for the rest of the month of January, 2018 and join us in concentrating on the amazing God we serve. He deserves our praise!